While I was studying Clothing & Textiles at FSU, I worked part-time as an interior designer. Upon graduating, my career began at Tempting Interiors. My job consisted of helping clients choose window treatments, furniture and accessories to make their house a home. In 1998, after my first child was born, I started my own business, Designing Windows by JoAnn. At this time I helped clients choose hard and soft treatments for their windows. I constructed most of the soft treatments and installed them myself. In 2006, my friend Judy and I began a partnership with her company name, J Interiors, this company combined both our design backgrounds and we were a complete design firm. We did two show houses and our design photos were published in Southern New England Home. In 2015, I joined Smith & Noble! Smith & Noble is America's leading resource for window treatments. In business since 1987, Smith & Noble has outfitted over 8 million homes. 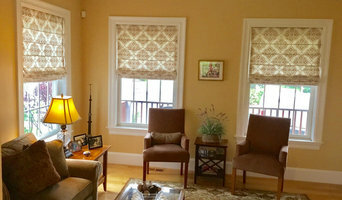 Smith & Noble sells a variety of custom window coverings including wood blinds, natural woven shades, roller shades, shutters, draperies, honeycomb blinds, and much more. Graduate of James Madison university, Cat also holds certification in Residential Interior Design from the Boston Architectural College. She believes in working closely with her clients to help create spaces that are beautiful and functional; a place they love coming home to. Every project, whether its just one piece or an entire house, is equally important to Cat. Her clients love her ability to seamlessly integrate existing furniture and accessories into new designs while creating a cohesive and beautiful room. FIRST IMPRESSIONS DO MATTER Serene Staging is an Accredited Home Staging and Redesign company (ASP). HOME STAGING - Home staging maximizes your home's potential to sell for the best price in the least time possible. Let us take the stress out of preparing your home for sale and we can list it for you as well! (Licensed Massachusetts Real Estate Salesperson). Email serenestaging@gmail.com for your home consultation today. We always strive to gain our clients' trust as we transform your home to beat the competition and sell faster and for more money. FENG SHUI - Not moving but want to improve your space? Serene Staging's niche lies in transforming your space according to sound Feng Shui principles. Feng Shui increasing the positive energy in a space, neutralizing negative areas using the balance of elements (wood, metal, water and fire), room directions, color, shapes, and furniture placement. Feng Shui ultimately enhances your life style by infusing your personal aspirations into design. Receive a personal space assessment and you will find it easier to reach your goals (financial wealth, health, romance, travel, children, harmony). Business owners benefit greatly from Feng Shui principles and many have increased their profits after contacting Serene Staging for a consultation. We love referrals and we get them. REDESIGN -Serene Staging provides Design consultations to homeowners setting up their new homes or those who simply wanting to spruce up or declutter their living space (redesign). Color consultations also available. 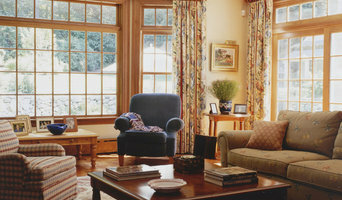 Providing budget conscious, family friendly Interior Design services in the Greater Boston area. A good home design professional will hone your style down to its very essence and be able to choose a functional layout that feels natural to you. Interior design companies can be involved as much or as little as the client desires. Many clients who hire an interior decorator in Quincy, MA — particularly those who are remodeling — have a good sense of how the room should look and what products they should use. Often clients will insist that interior decorators use the products already present in the house. Other times a designer will need to start from scratch — especially if this is a newly purchased or just-built home. An interior design company will need to figure out exactly what the client needs, which includes organizing rooms, picking flooring and wall colors, and finding furniture to complement it all. Sometimes that means he or she will have to recruit help from other Quincy, MA home professionals to help create the perfect look for your renovation. Here are some related professionals and vendors to complement the work of interior designers & decorators: Architects & Building Designers, General Contractors, Home Builders, Design-Build Firms, Photographers. Do your research before meeting with an interior designer or home decorator in Quincy, MA. Ask yourself what you want your space to become and what it will be used for. Figure out the extent of what you need help with, what your must-haves are and what your budget is. Interior design services can add up fast, so be up front with a potential design firm or individual from the beginning. Also, pick an interior decorator that fits your style. Browse through the portfolios of different Quincy interior design firms and decide if you would live in those houses. Just because you like something doesn’t mean you could live in it. There's a big difference! 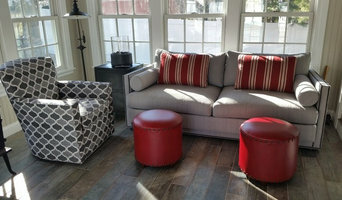 Find an interior designer or home decorator in Quincy, MA on Houzz. Narrow your search in the Professionals section to find Quincy interior designers near you. 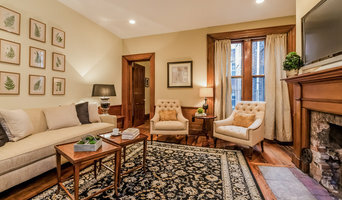 You can also look through Quincy, MA photos to find a room you like, then contact the design firm who designed it.